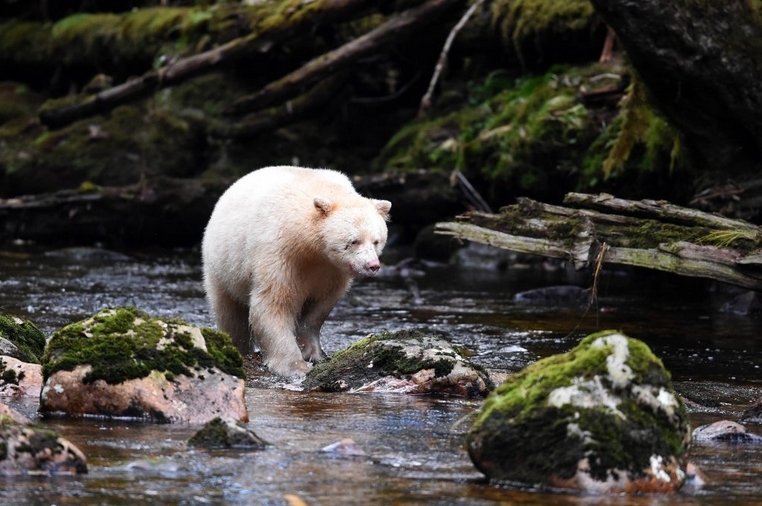 A photographer has captured an extremely rare sighting of a Kermode bear, otherwise known as a white spirit bear. Kermode bears are a subspecies of the American black bear, and are known for their distinctive white or cream coloured coat, which is caused by a rare regressive gene. Only one in ten black bears are said to carry this rare gene and this photographer was overjoyed to catch one on camera. 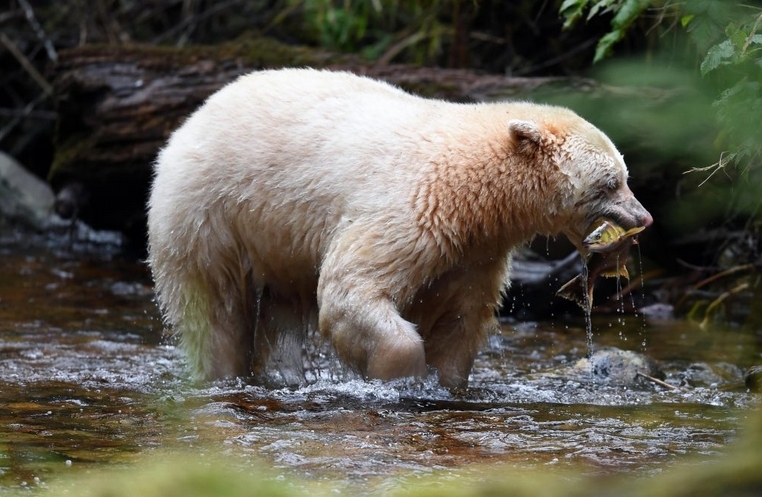 Alexander Ley, 24, from Berlin, Germany, captured the incredible sighting when he travelled to Gribbell Island, Canada, in search of bears to photograph. Alexander said: “I was on the look out to photograph all different type of bear, and saw a few black bears pass me by. 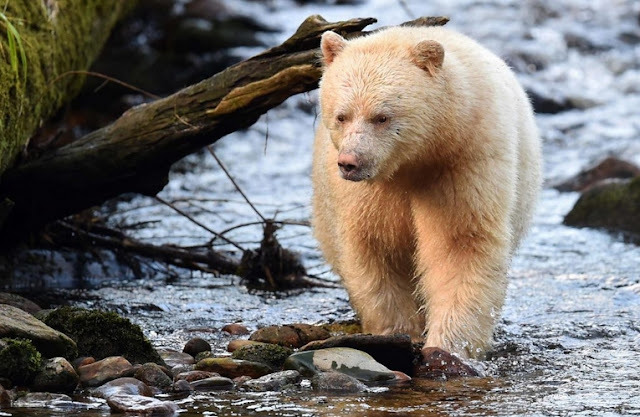 “Then out of nowhere, I saw a white creature appear and walk right towards me –I then realised that it was a Kermode bear! “It was an unforgettable experience to be so close to this species of bear, and it took me completely by surprise. “The bear is called ‘Boss’ by the locals, as he is a very strong and dominant male. 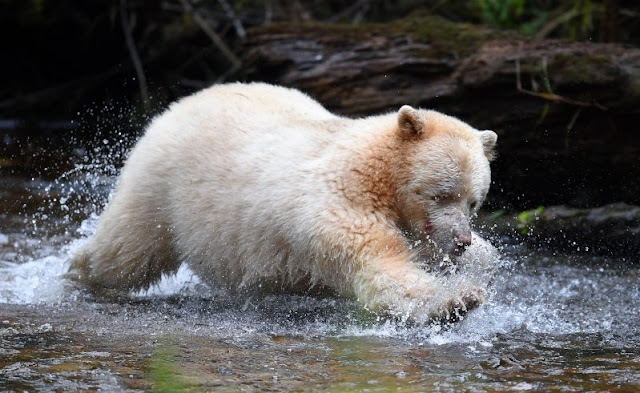 Responses to "Rare spotting of white spirit bear caught on camera"